We are looking for independent contractors to sign on with ACW Transport LLC as a dispatcher to help load owner operators. This is a commission only position paying 4% of each invoice. Paid Weekly with no benefits or taxes withheld. You will get a 1099 Misc at the end of the year. 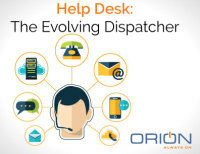 Prefer someone with dispatch experience but will train the right person. You will need a phone, laptop/computer, and internet access. You will work from home and all training is done via Skye. Great position for retired truck drivers. Administrative/Clerical skills is a plus but not recommended. If you think you have the right stuff, please contact us and let’s talk! Please fill out and email back to us at [email protected] or call Andy at 563 554 3458 for more information. find available loads for the empty (or soon to be empty) trucks.